This desktop aquarium lets you enjoy the beauty of some of earth’s most mysterious creatures from the comfort of your own home. 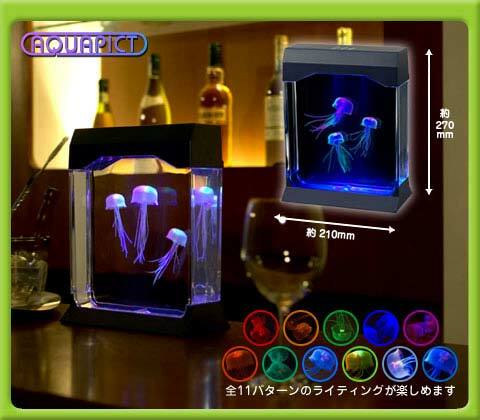 The Banpresto Aquapict Jellyfish Aquarium features three amazingly real looking undersea critters (made from silicone,) and illuminates them with color-changing LEDs to give them an other-worldly glow. Now you can get up close and personal with these marine invertebrates, without the risk of a painful sting. Originally available only in Japan, the Aquapict is available now from importer AudioCubes for $159.